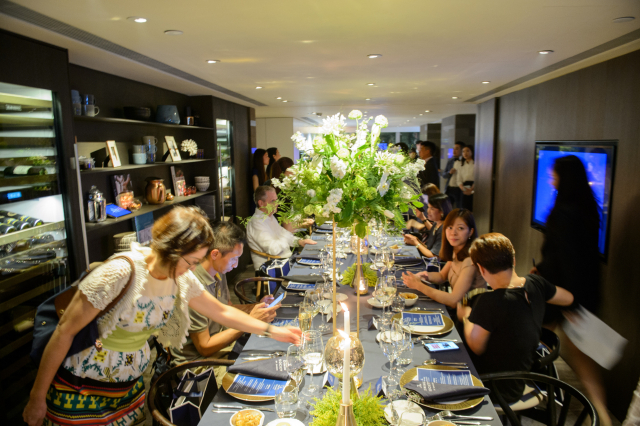 Golden Emperor Properties’s long term partner, Thailand’s prolific developer, Sansiri, actively hosts vibrant events besides leading Thailand’s booming quality residential development scene. 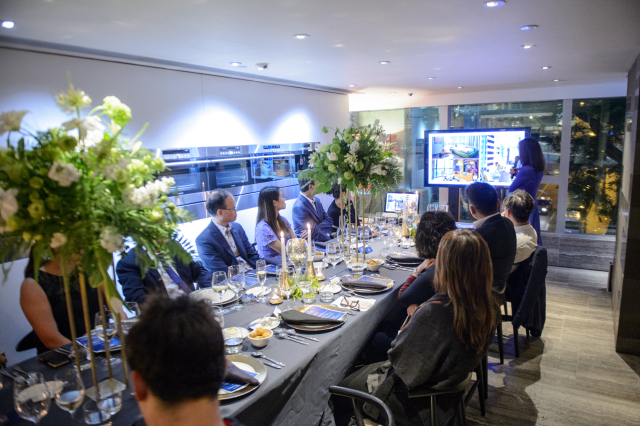 Last Thursday, Sansiri hosted ‘The Dining Society’ event in Hong Kong, a special evening of an exclusive Chef’s Table dinner with wine pairing. Golden Emperor and prestigious clients were invited to the evening to enjoy an exquisite tailored experience at House of Madison’s private kitchen to taste a contemporary Thai-inspired menu crafted by acclaimed chef, Stanley Wong, who has had years of experiences as an executive chef at Jean-Georges Vongerichten and Spice Market in New York. 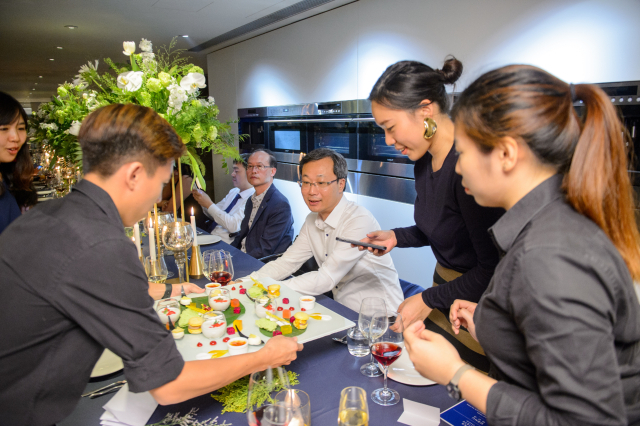 Everyone enjoyed a night of contemporary Thai cuisine and wine tasting, along with a relaxed and cheerful evening of laughter and chatter. 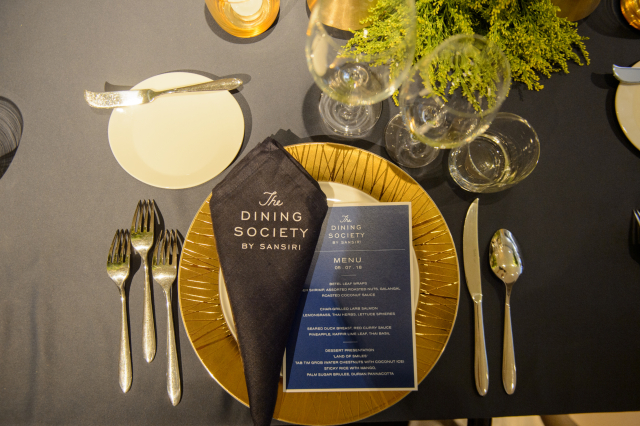 Photo Above: Sansiri hosts ‘The Dining Society’ and invited Golden Emperor and prestigious clients to attend a night of fine cuisine and wine. 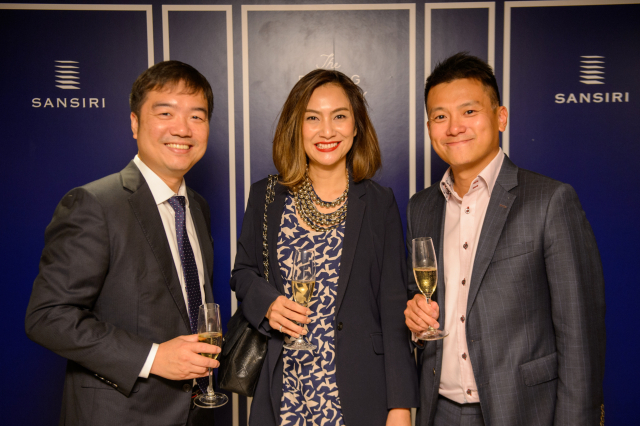 Photo Above: Mr. Kingston Lai (far left), Founder of Golden Emperor Properties and Founder & CEO of Asia Bankers Club and Mr. Ivan Yam (far right), Director of Golden Emperor Properties with guests during the evening. 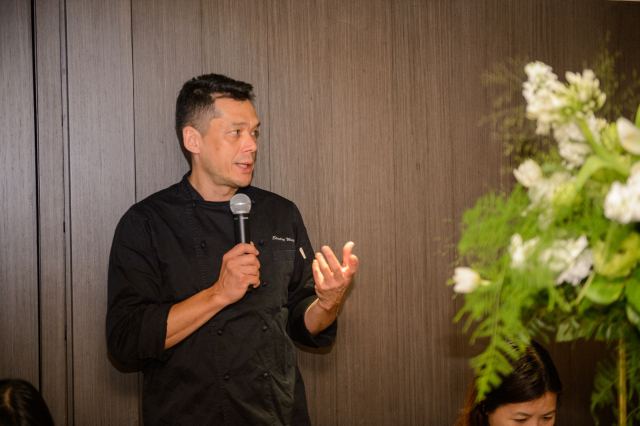 Photo Above: Chef Stanley Wong crafted a series of dishes for guests for the exclusive Chef’s Table experience for the night. Photo Above: Everyone enjoyed the exquisite dining experience, wine and an evening of chatter.